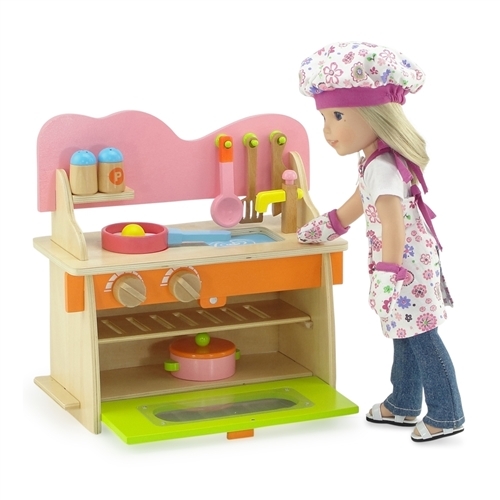 This amazing kitchen set is all you need for make believe cooking with your 14-inch doll! 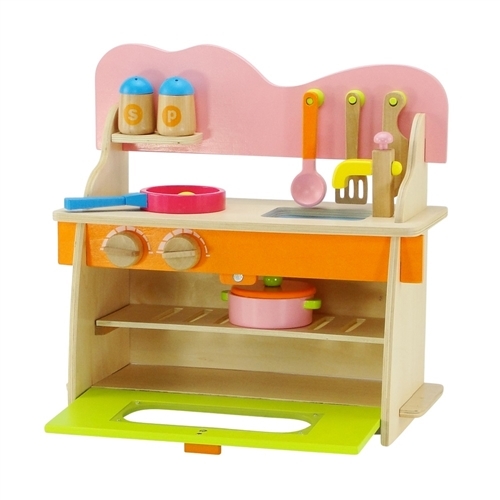 This sturdy wooden kitchen set is a snap to assemble; all pieces are pre-fit with no tools required. 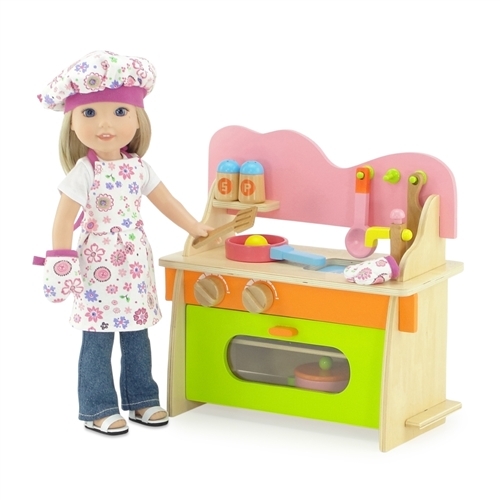 Set includes kitchenette with stove top, oven and sink with temperature dials that really click when they turn. 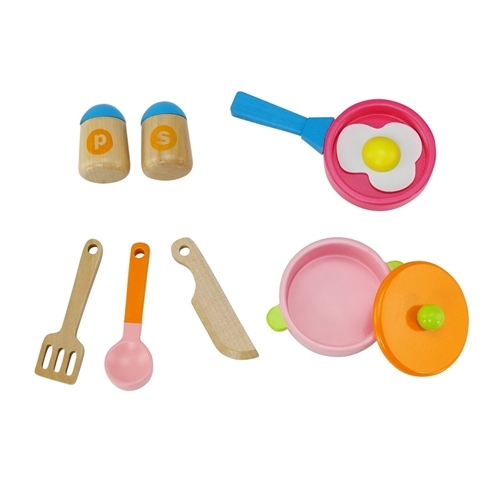 Also included in this must have set are a pan, pot, cooking spatula, spoon and knife, and salt and pepper shakers that you can "shake". 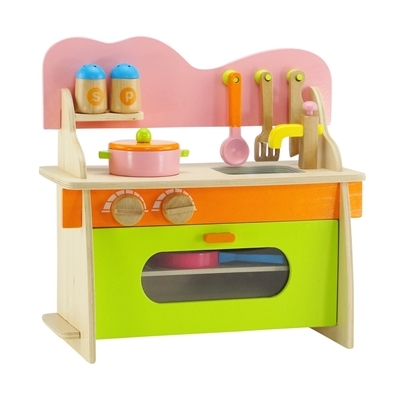 This set is bright and colorful and will give your child and her friend’s hours of fun.